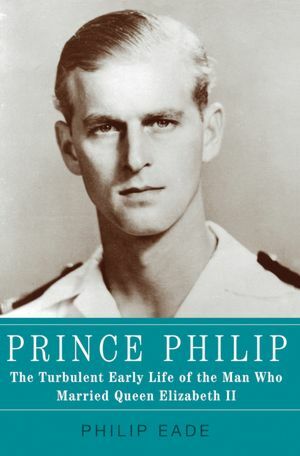 With a long title that assumes you would not know who Prince Philip is without his famous connection – Philip Eade’s biography of Prince Philip’s early years cleverly focuses on the man’s foundations – from his grandparents to his marriage to a young British princess. I downloaded the Kindle sample for Prince Philip: The Turbulent Early Life of the Man Who Married Queen Elizabeth II. Unfortunately, the extensive family trees of the “The Houses of Windsor, Hesse, and Battenberg” (his mother’s side) and the “House of Greece” (father’s side) were too small to study. Undeterred by the various houses of kings, princes, and dukes across Europe that rival Catherine of Russia, I started my own cheat sheet to keep the royals straight; basically, they are all related – with Queen Victoria starting all the interconnections. Prince Philip has always seemed an austere snob – almost grumpy at times as he followed the requisite steps behind the Queen, but Eade’s book could “rebrand” his image. Philip’s young life was tragic, brave, “turbulent,” sometimes with wartime suspense; his mother was deaf and his father abandoned him when he was eight years old. Eade writes the biography with the flavor of historical fiction. When the sample stopped, I bought the book and am now slowly falling under the spell of the tall young blond German who was a Prince of Greece as well as a Mountbatten of England. Seems he really was the dashing prince charming when Elizabeth fell for him.